Free theme is an simple way to redress your web project. A professionally done freebie is a sure-fire way to start an engaging shop with ever-increasing number of sales. 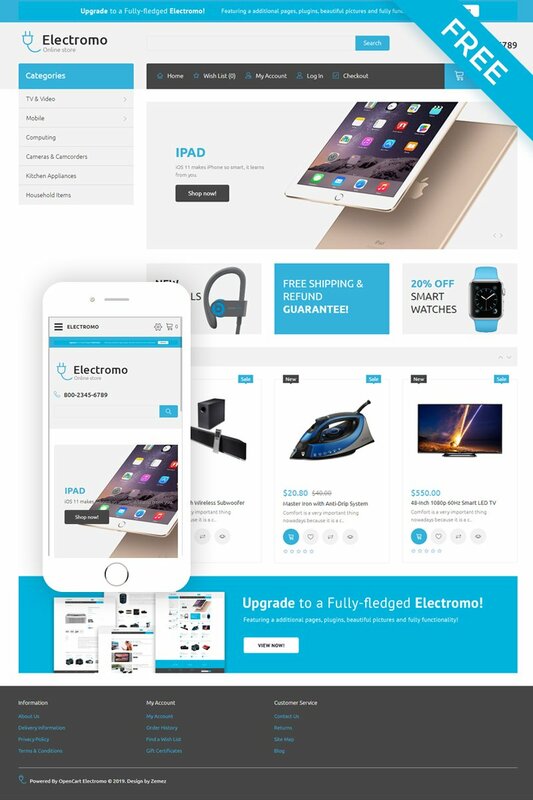 Consider this Free OpenCart Theme for Mobile Shop, and you'll leverage the sales of your store. Tile-based layout, implemented OpenCart modules for displaying bestsellers, specials, latest items, etc. Intuitive navigation allows seamless browsing around the site and offers a pleasant & easy shopping time. Light coral accents against the clean layout stimulate viewersÑ interest and push them forward to making purchases. Choose this design to bring your shop to the web, and drive more clients in. Hello! Will the theme work on OpenCart v. 2.3.0.1 ? Thanks! I have php 5.3.2.9 Am I am bale to use this template? Can I use this for a commercial Website without talking premium support?